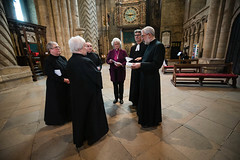 Durham Diocese’s first Female Bishop, The Rt Revd Sarah Clark has been formally welcomed to the Diocese as Bishop of Jarrow at a service in Durham Cathedral on Sunday 7th April in Durham Cathedral. 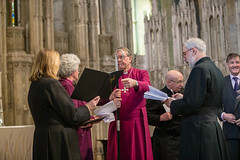 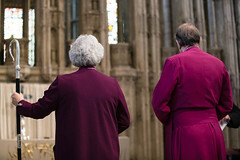 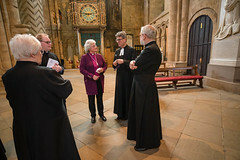 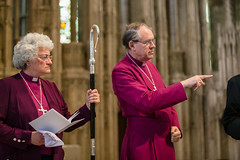 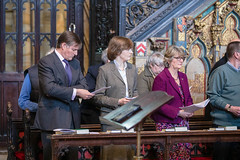 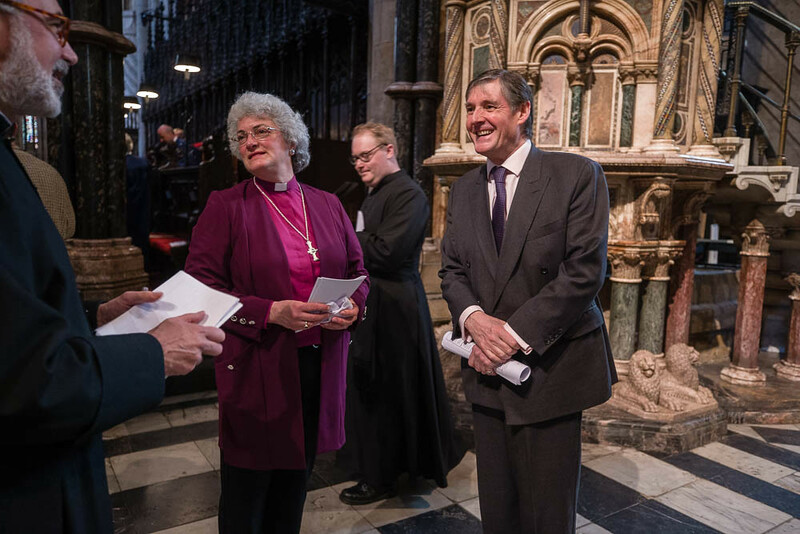 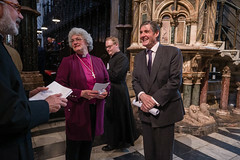 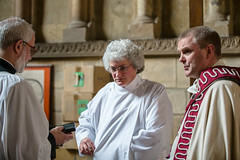 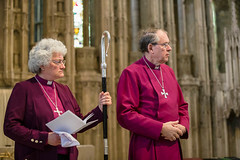 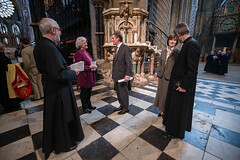 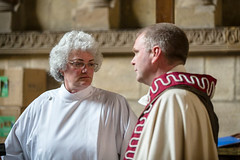 During the service which was attended by 100’s of people from across the diocese and wider, The Rt Revd Paul Butler, Bishop of Durham licensed Bishop Sarah for her work as Bishop of Jarrow and welcomed her on behalf of the Diocese. 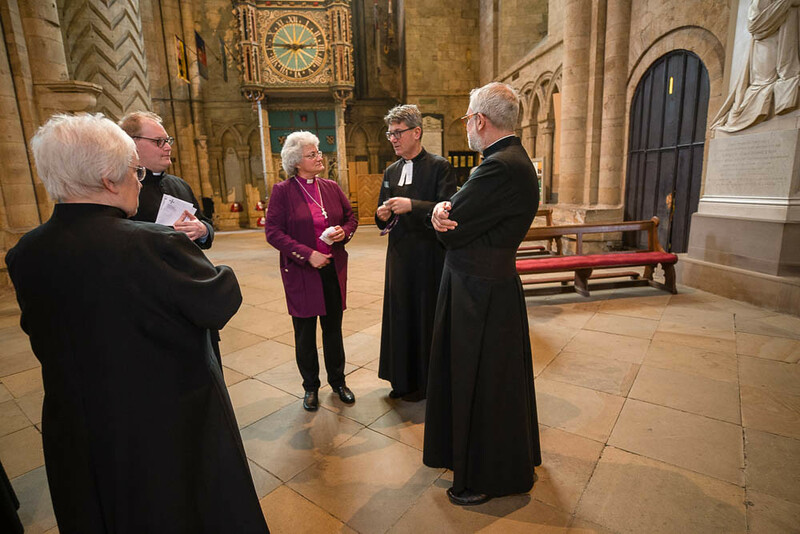 Among the those gathered to welcome Bishop Sarah were: The Major of Durham – Cllr John Lethbridge, The High Sheriff of Durham – Dr Stephen Michael Cronin, Her Majesty’s Lord-Lieutenant of Tyne and Wear – Mrs Susan Winfield, OBE and Her Majesty’s Lord-Lieutenant of Durham – Mrs Sue Snowden. 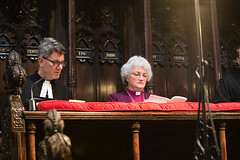 Also in attendance was Colonel The Hon James Ramsbotham, DL, CBE – Chief Executive of the North East England Chamber of Commerce who’s family include a former Bishop of Jarrow the Rt Revd John Alexander Ramsbotham, later Bishop of Wakefield. 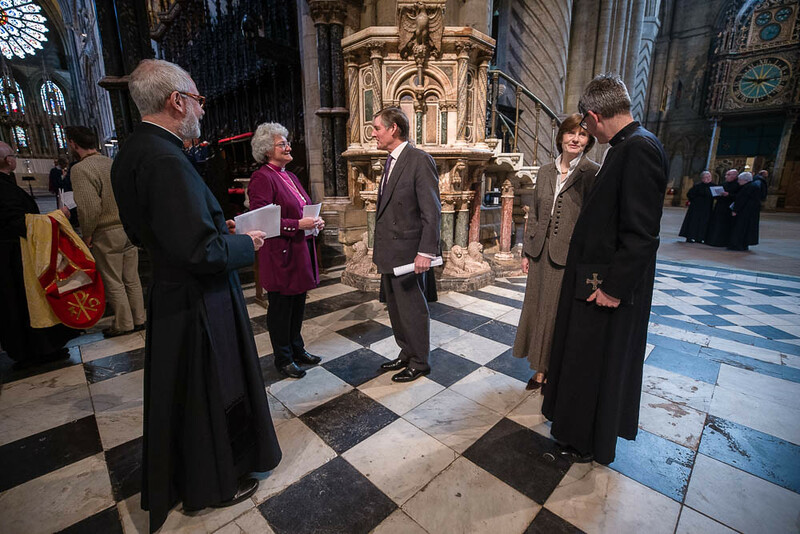 During the service, Mr James Ramsbotham presented the Jarrow Crozier on behalf of the Ramsbotham family. 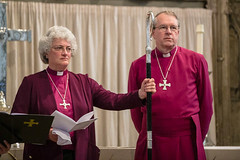 The crozier had belonged to Bishop Ramsbotham when he was Bishop of Jarrow in the 1950’s. 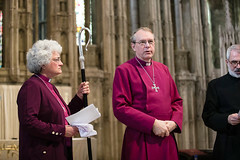 Mr Ramsbotham said: “The crozier was presented to my grandfather by St George’s, Jesmond as he became Bishop of Jarrow. 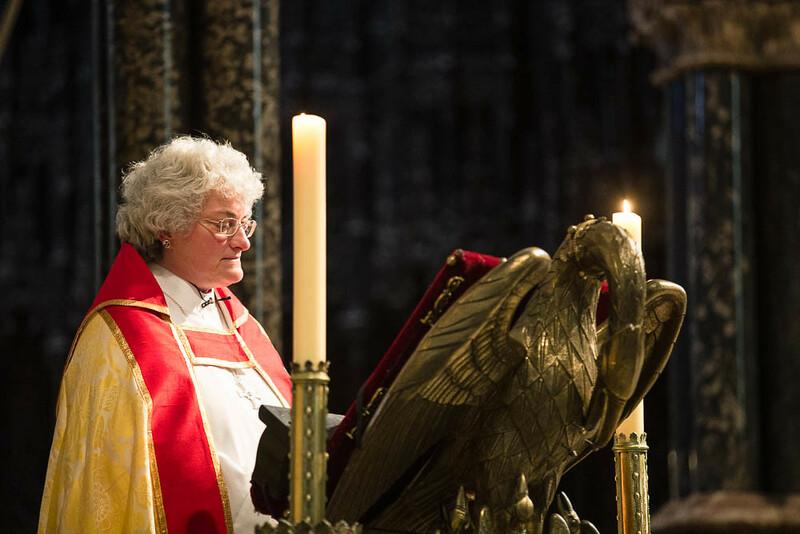 It was made by Molly Challenor, at the time, the only female silversmith – and a parishioner. 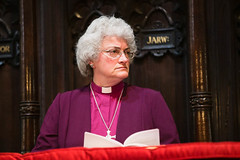 Very appropriate for the first female Bishop of Jarrow! 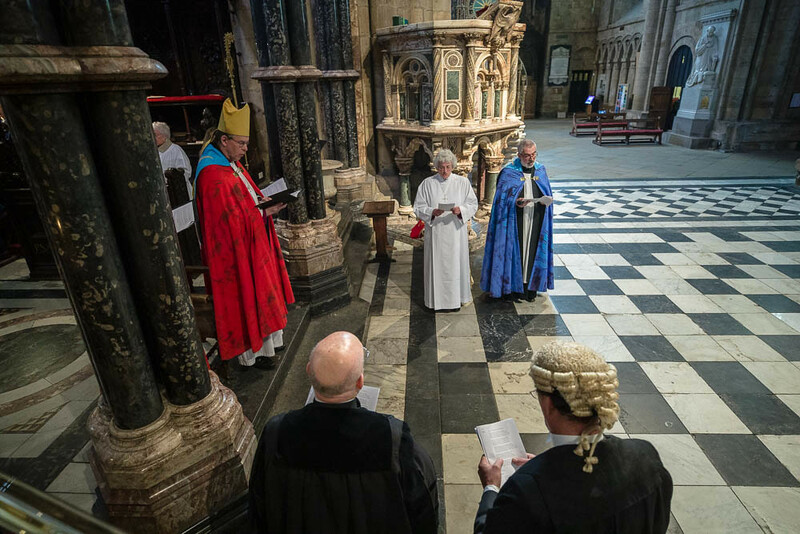 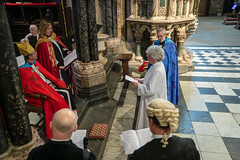 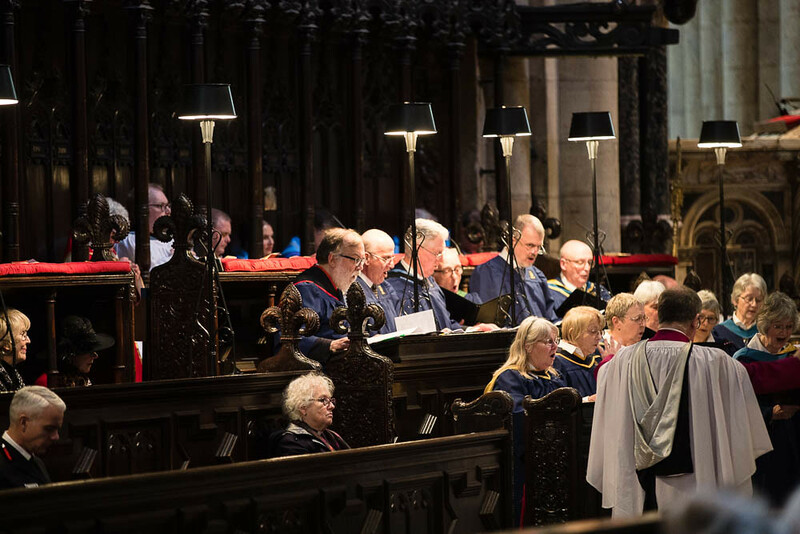 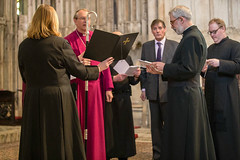 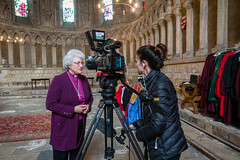 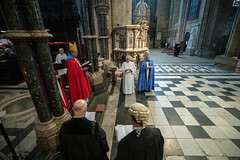 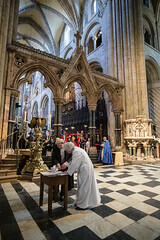 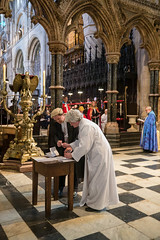 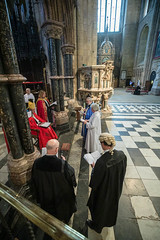 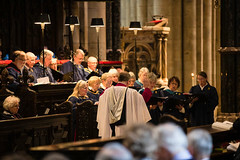 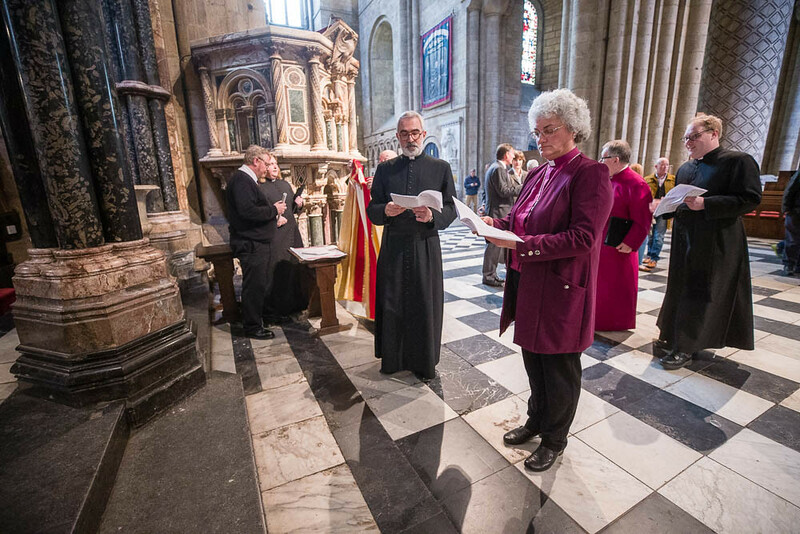 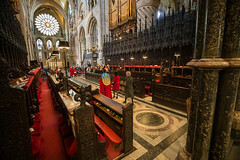 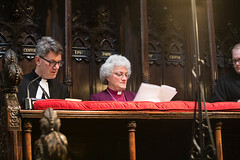 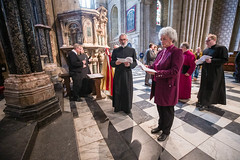 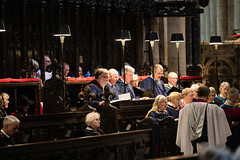 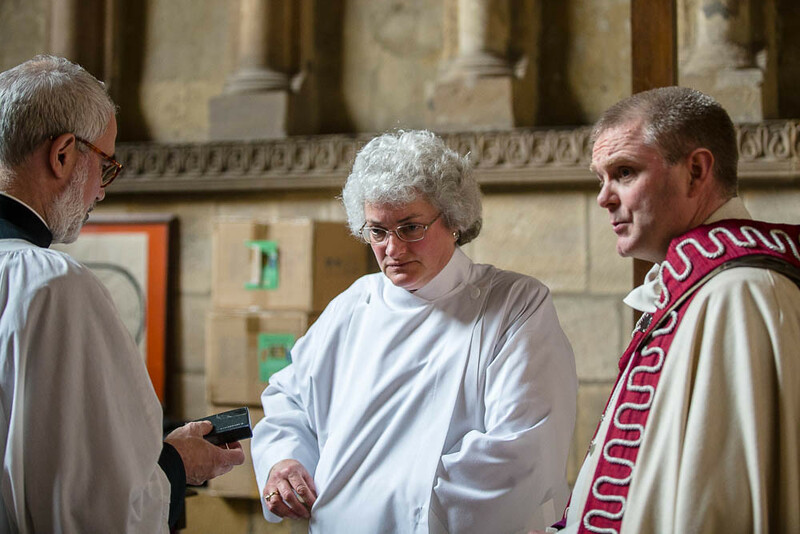 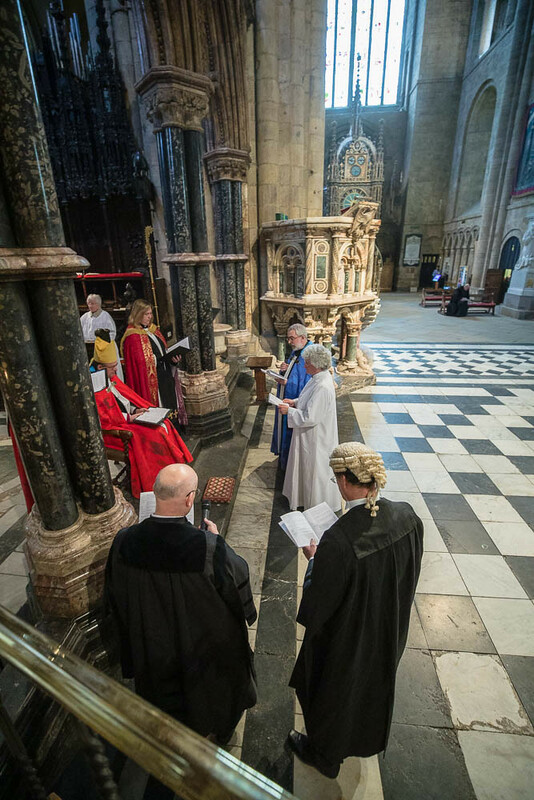 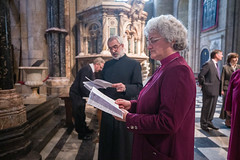 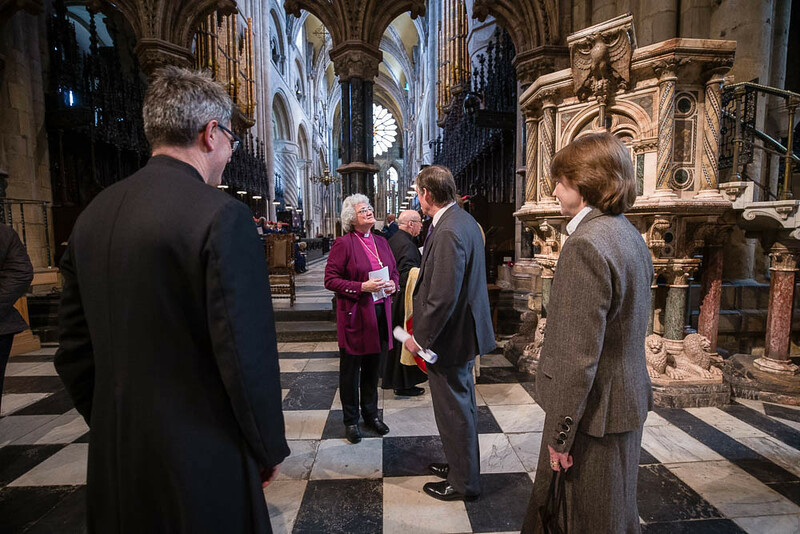 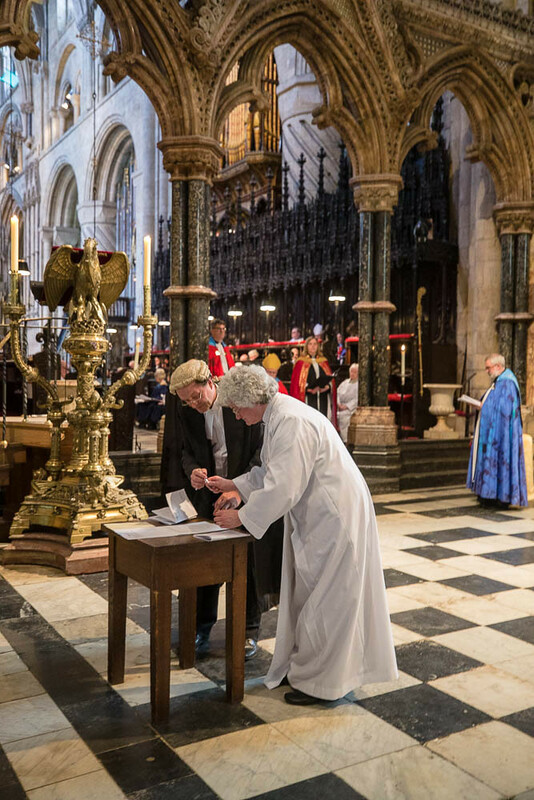 Bishop Sarah was also installed by The Dean of Durham into the customary stall of the Bishop of Jarrow in the Quire (choir), becoming a Supernumerary Non-Residentiary Canon of Durham Cathedral. 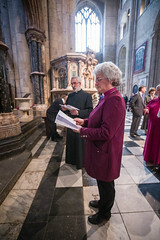 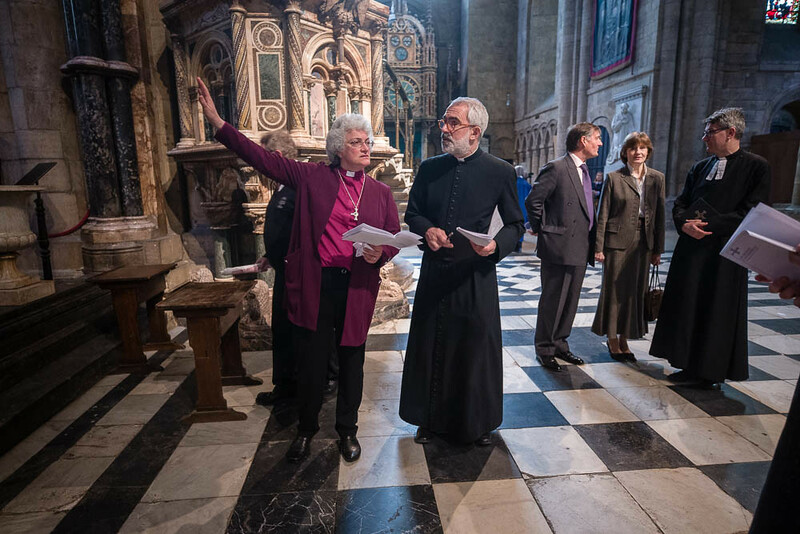 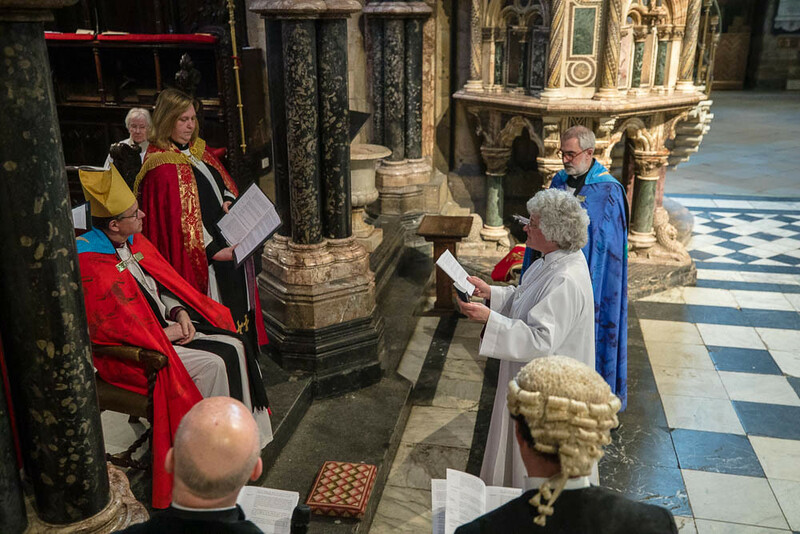 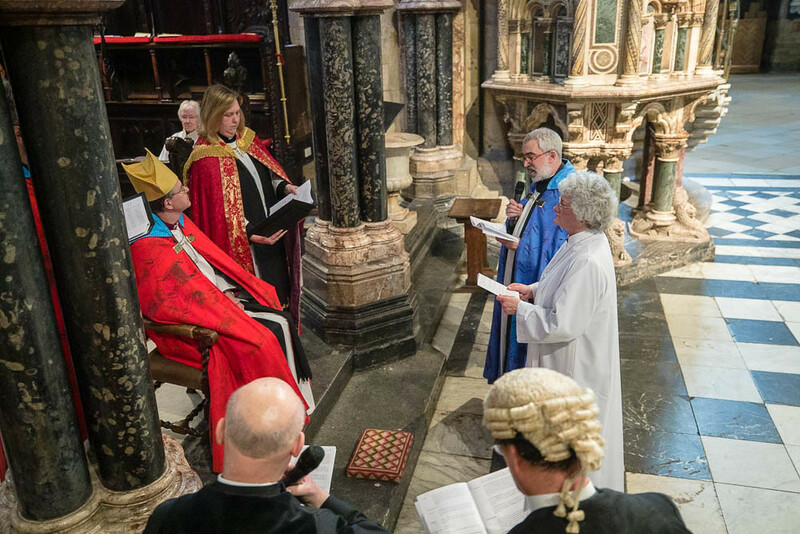 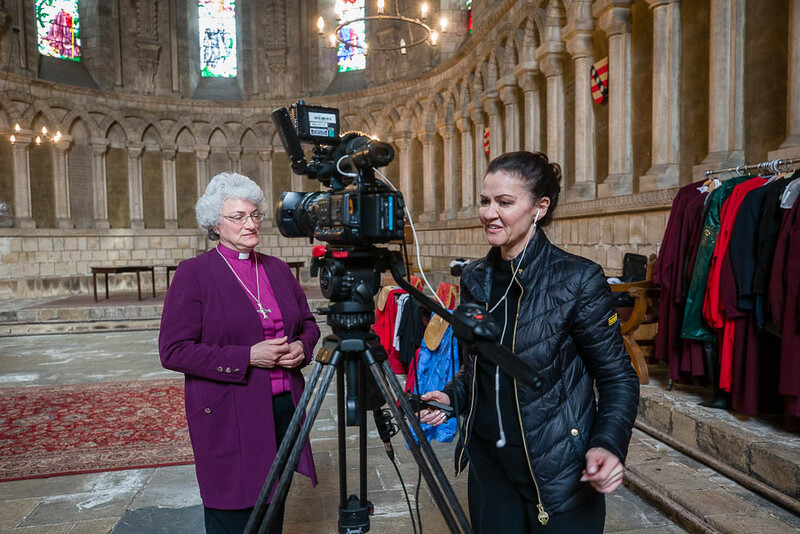 Through this, Bishop Sarah became a member of the College of Canons and the wider Cathedral Foundation. 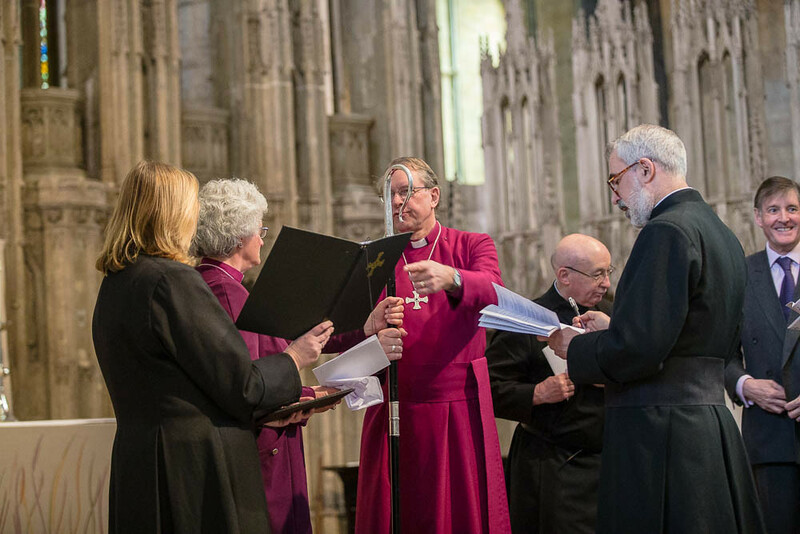 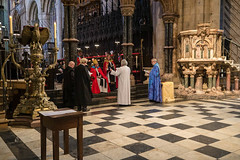 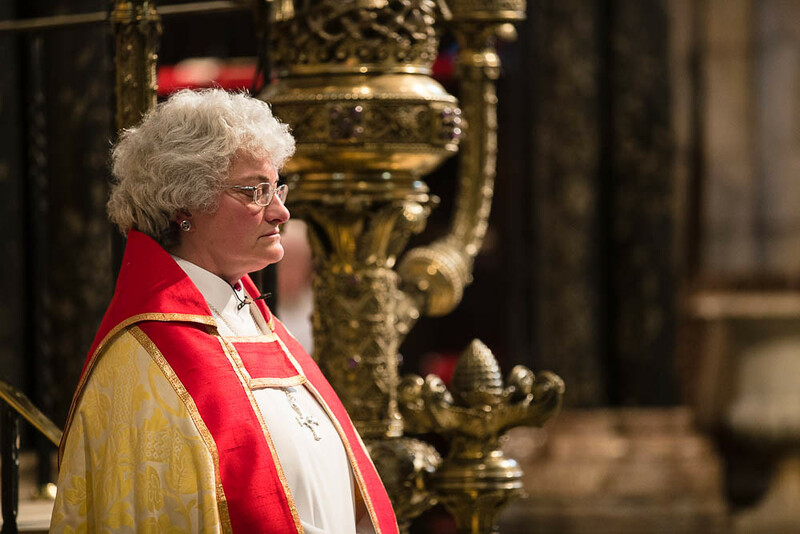 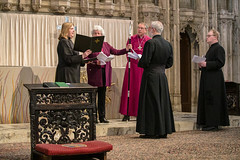 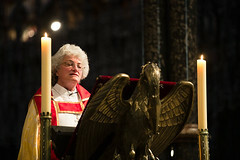 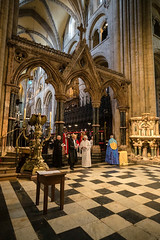 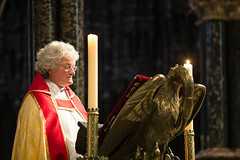 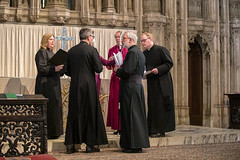 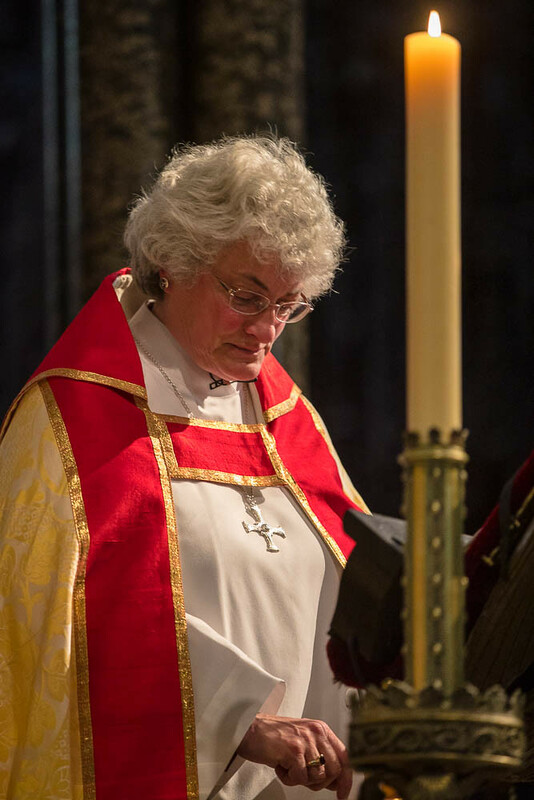 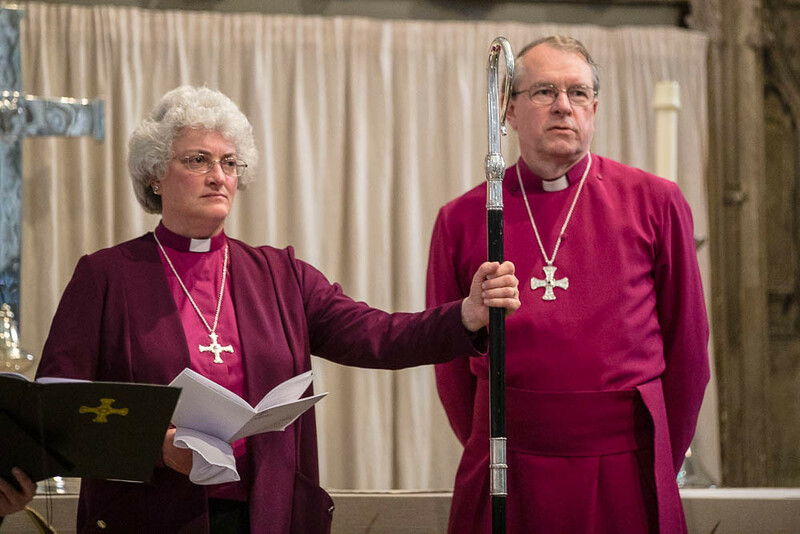 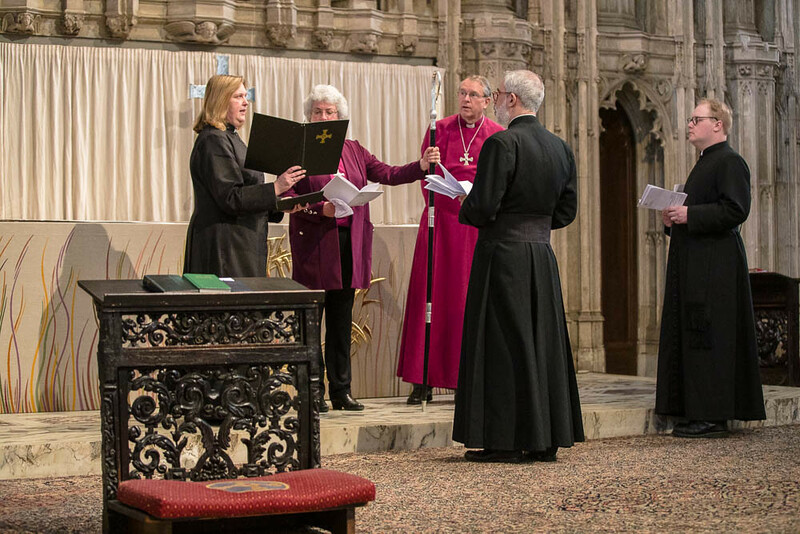 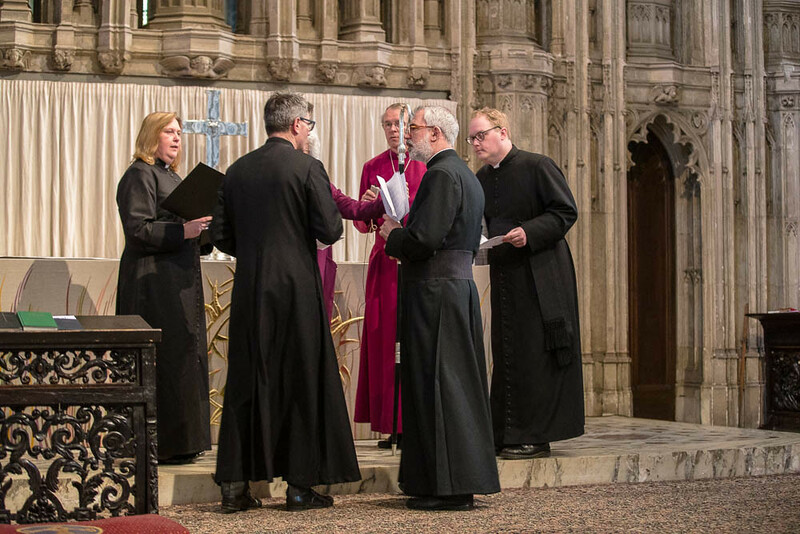 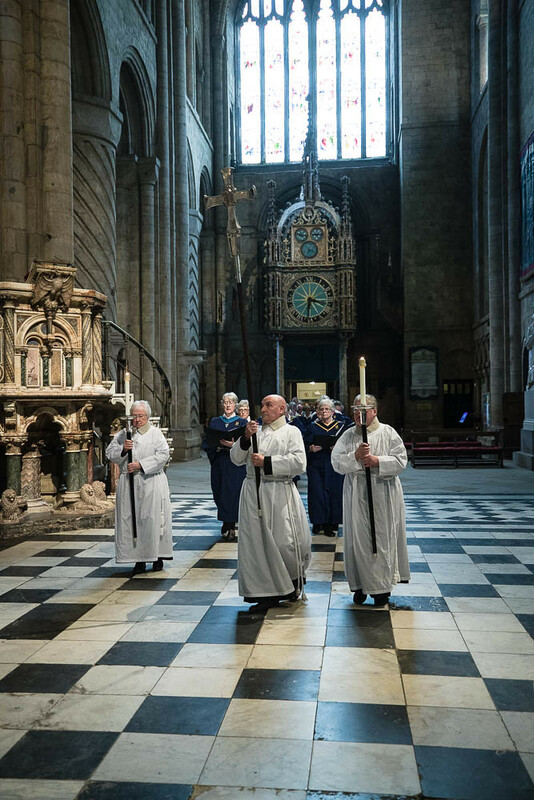 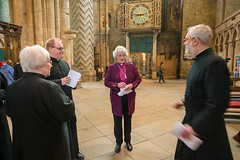 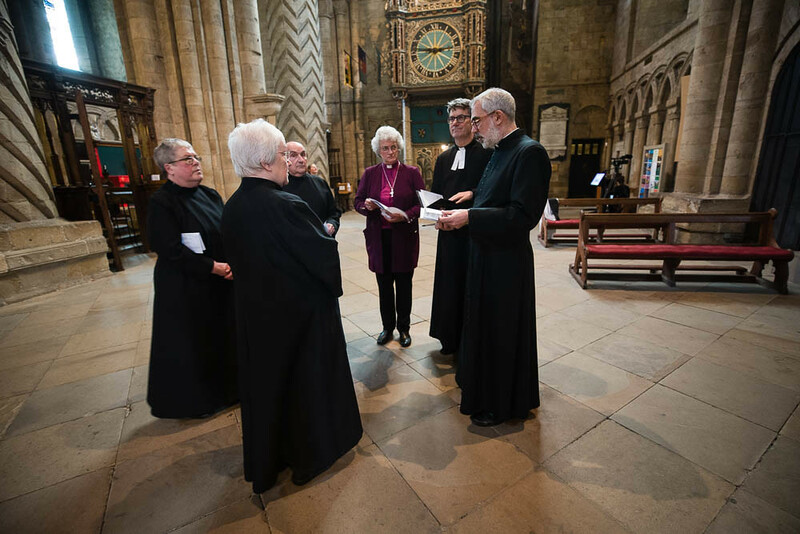 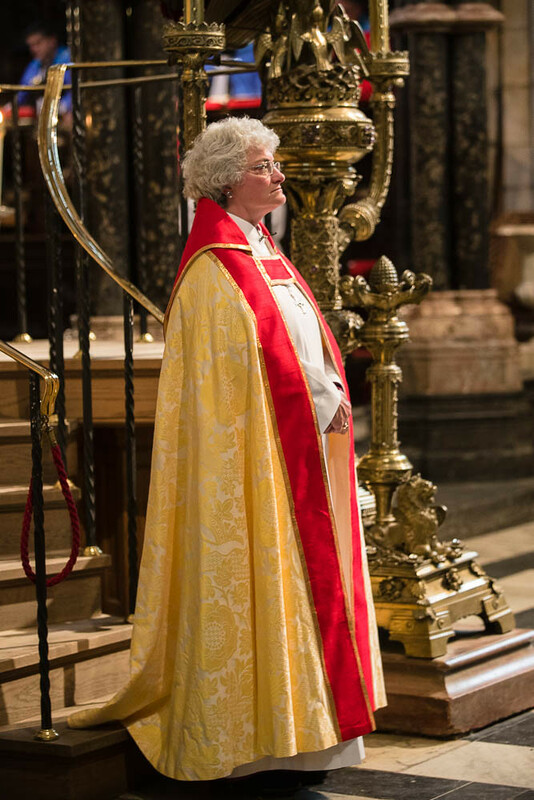 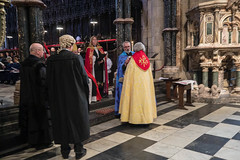 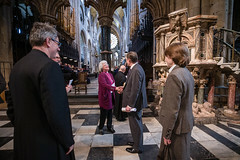 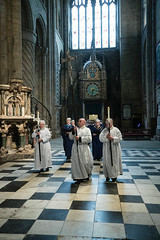 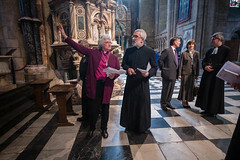 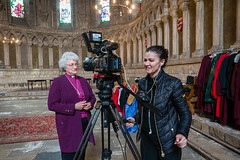 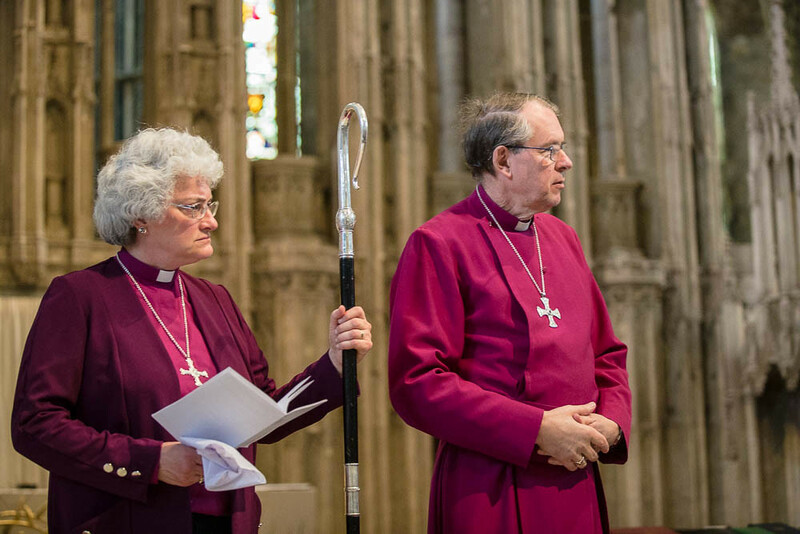 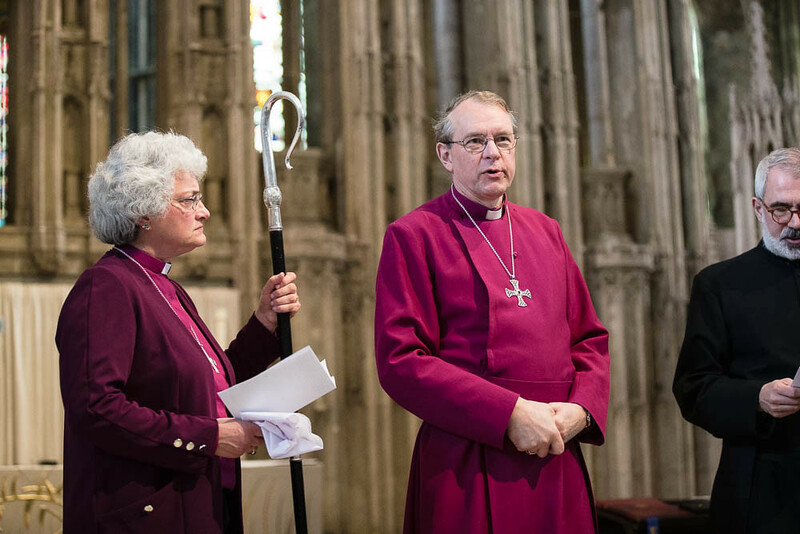 Bishop Sarah was consecrated as Bishop of Jarrow in York Minster on the on 27th February 2019.